This monument, unique in the world, was built after the Battle of Čegar in 1809. The battle was ended by the Serbian commander Stevan Sinđelić, who sacrificially fired at his gunpowder depot in order to avoid surrendering to the Turks, killing himself, the rest of his men, and the advancing Turks. After the retreat of the Serbian rebel army, the Turkish commander of Niš, Hursid Pasha, ordered that the heads of the killed Serbs to be mounted on a tower to serve as a warning to whoever opposed the Ottoman Empire. In total, 952 skulls were used. In its original form, the tower stood 15 feet high and 13 feet wide. Skulls were arranged in 56 rows, with 17 skulls in each row, at each side of the tower. The skull of rebel commander Stevan Sinđelić was placed at the top. This gruesome edifice left a deep scar in the Serbian national psyche. However, it failed at its purpose. The Serbs rebelled again in 1815, this time successfully, driving off the Turks and winning independence in 1830. 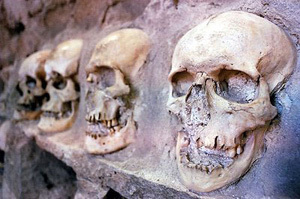 In the years immediately following the building of the tower, the families of deceased rebels chiseled away some of the skulls in order to give them proper funerals. Today 58 skulls in total remain in the tower. 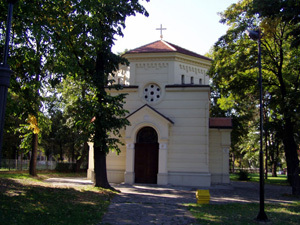 The authorities of Serbia in 1892 built a chapel around the tower to preserve this unique monument representing the nation’s bravery and sufferings. The skull of Stevan Sinđelić is also on display at the chapel. Serbian people built the Monument on Čegar Hill as a relict of the battle on Čegar Hill and as a tribute to the soldiers who lost their lives during the battle. The first monument was built in 1878, and it was upgraded to what it looks like today in 1927, on the fiftieth anniversary of the liberation of Niš. 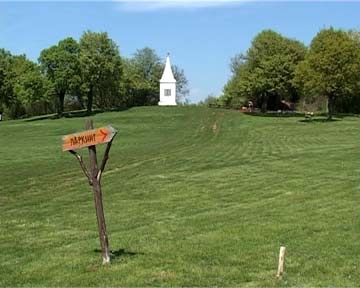 The access to the monument is free of charge. The archeological site Mediana is located on what was once the Roman road “Via militaris”, today the road E-80 (Niš-Sofia). Roman Emperor Constantine the Great (280 - 337 AD) was born and raised in Mediana (Naissus), which was then a royal property with a luxurious residence. 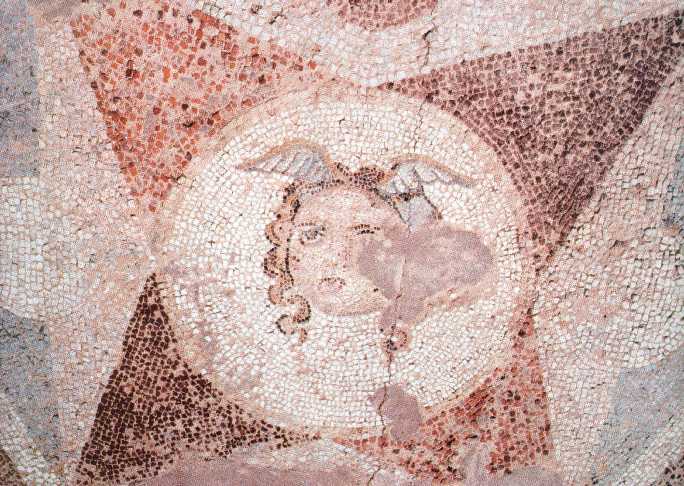 The estate occupies 40 hectares, and exhibits the remains of a granary, craft centre, villas, thermae, and the remains of ancient villa containing a peristyle with rich mosaics. Most mosaics exhibit geometrical or floral motifs, while two mosaics presenting figures - the head of the Medusa and a semi-prostrate figure of a river deity (probably Neptune). The museum, located on the estate, contains sculptures and portraits of Roman gods and goddesses, utensils for daily use (bowls, pitchers, lamps) and remnants of lead pipes used to provide healing hot water from the nearby Niška Banja (Spa of Niš). Some coins and utensils from Mediana are now available in the Archeological Hall of Niš National Museum. In 2013, the city of Niš and Mediana will host the Ecumenical Assembly of Christian Churches to mark 1700 years of Constantine’s Edict of Milan. The Fortress of Niš is located in the core of the city – it rises on the right bank of the Nišava River, overlooking the area inhabited for longer than two millenniums. It is one of the best preserved and most beautiful medieval fortresses in the central Balkans. It was pulled down and restored a number of times, by the Romans, over the Byzantines, ancient Slavs, Bulgarians, and Serbs. It is assumed that the final shape was given by the Turks in 1723, when they built it, facing the end of their reign in this area. The Fortress covers 22 hectares, has 4 gates, its walls are 2,100 meters long, 8 meters high, and, on average, 3 meters wide. From the outside, the Fortress was surrounded by a water-filled ditch, whose northern part remains visible today. Apart from the well preserved stone walls and gates, the Fortress exhibits numerous remains from the turbulent history of Niš. 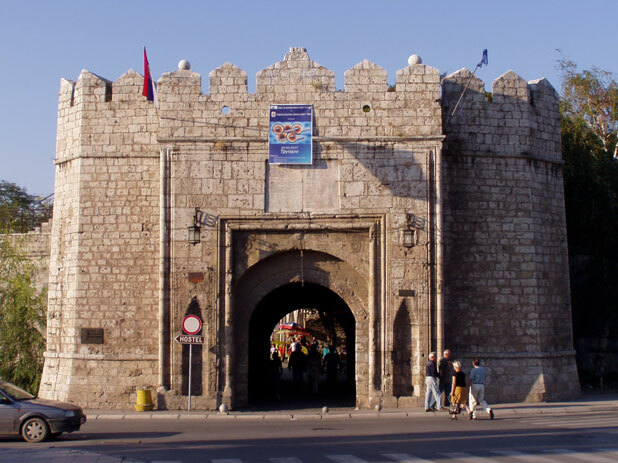 That is why the Fortress of Niš is considered to be a very important cultural and historical monument. The access to the Fortress is free of charge. The concentration camp located in the district of Crveni Krst (Red Cross) is one of the few fully preserved fascist camps in Europe. It was located in the buildings which had been military storage facilities before the German occupation. It was one of the most notorious and the biggest concentration camps in Serbia. During four years, more than 35,000 patriots and supporters of the national freedom movement, partisans, Romani people and Jews were imprisoned there. It is especially known for the escape of 105 prisoners (out of 147 who attempted to flee) on February 12, 1942. After the great camp break, 1,100 people were shot as the retaliation for 11 killed German soldiers. The organized escape from the concentration camp was a unique event in the occupied Europe of that time. After this successful escape, and another in December 1942, the camp became a real venue of death. On February 12, 1967, on the twenty-fifth anniversary of the prisoner escape, the camp was turned into the Memorial Museum“12. februar”. The concentration camp buildings kept their authentic outlook. Even today, the camp provides a testimony to the sufferings of the Serbian, Romani, and Jewish population, communists, numerous supporters of the liberation movement and partisans, who were incarcerated here during the German occupation of Serbia (1941-1945). Before the prison break, the camp was surrounded by barbed wire. After the break, the walls were built around the camp with fragments of glass on top. This complex occupies the surface area of 7 hectares and is surrounded by walls and barbed wire. It contains two central camp buildings, two supplementary one-storey buildings, two towers, two observation posts, two guard boxes, and a fountain. The central camp building consisted of premises in which inmates lived, premises to house guards, hearing premises, a dispensary, a barber’s room, and ten rooms for solitary confinement, with concrete floors, no windows, and a small slit on the top for light and ventilation. The building was originally constructed in 1930 to be used as a part of the military barracks, but at the beginning of the war, in 1941, it was secluded from the barracks by a barbed wire and turned into a camp. During World War Two, about 30,000 people passed through this camp, of whom over 10,000 were shot on nearby Bubanj hill. The preservation and restoration works were done in 1979 and 2004. Latin Church is located above the village of Gornji Matejevac, 7 kilometers from Niš, on the hill called Metoh. This church represents the most beautiful sacral object in this area. 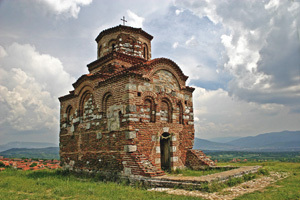 It is believed that the church was built during the reign of the Byzantine tsar Manojle I Komnin (1143-1180) who often resided in Niš. It was renewed during the reign of the Serbian Despot Stevan Lazarević, at the beginning of 15th century. The church was dedicated to the Holy Trinity but because of the merchants from Dubrovnik used it in the 16th century when they colonized Niš, it is known among the people as the Latin Church. Built as a unicameral building in the shape of a contracted, lengthened cross with a cupola and facade made of bricks and stones, it secured itself an important place in the history of Byzantine architecture in this area with its architectural shapes. Niška Banja (The Spa of Niš) is located 10 km away from Niš on the road to Sofia, 248 meters above sea level. The study of the density of sinter deposits, which originally created the terraces in the spa, reveals that the wellspring of Niška Banja has been active for 26,000 years. The spa is known from the Roman times, who built the first bath in the 2nd century AD, as a health resort with mineral springs of warm water, with an average temperature of 37.0 °C, a remedial concentration of radon (Rn), a radioactive gaseous element, and sinter (used for mud pack therapy). In Niška Banja there are three principal sources of thermal water: Glavno Vrelo (37.3 °C to 39.0 °C), Suva Banja (about 34.8 °C) and Skolska Česma (17.2 °C). Medically, Niška Banja has a mild, sedative climate, very good for convalescents. This is partly due to the mild vegetation on Koritnik, a hill that is a part of the Suva planina mountain range and is located above the Spa of Niš. The Gorge of Sićevo is the second most popular gorge in Serbia after the gorge of Đerdap on the Danube river. Situated 14 km away from Niš, it is 17 km long and divided into two parts: the higher and lower gorge. The Gorge of Sićevo is a composite, poligenous, multiphasal, penetrating type of river valley of the Nišava river. With its greater portion, this complex composite valley is carved into mesosoic limestone that has formed the surface layers of valley slopes or erosion and structural formations. Flora and fauna of this gorge are very rich and are characterized by high diversity. There are over 1200 different species of plants growing in the gorge. Its flora abounds in endemic and relic species. 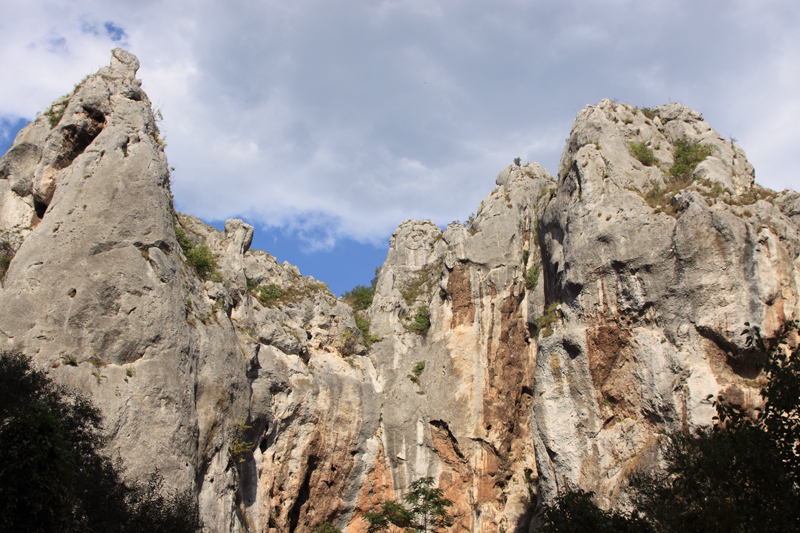 That is why in 2000 the authorities proclaimed the Gorge of Sićevo a special nature reserve. 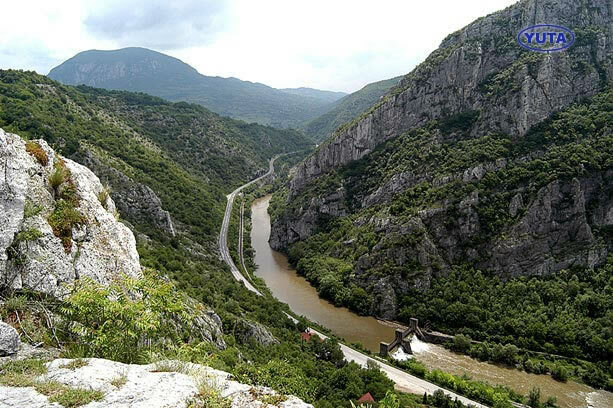 If you visit the village of Sićevo, you may enjoy the breathtaking view of the gorge below. This village is also famous for good wines, and every summer the oldest art colony in the Balkans is organized here. Sport lovers may enjoy mountaineering, walking in nature, fishing, paragliding and rafting (in 2009 the World Rafting Cup was organized in this part of the Nišava). The Gorge of Jelašnca is situated at the North Western part of Mt. Suva planina, 15 km from Niš. 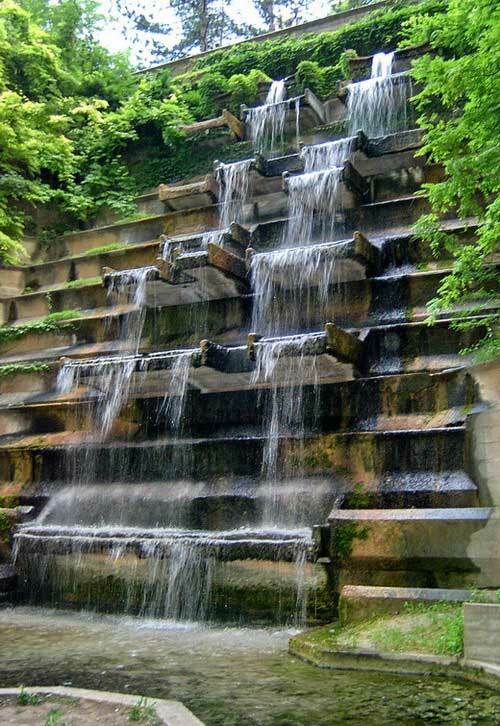 It was formed by intensive vertical carving of the Studena river (the river of Jelašnca) into sedimentary rock. With regard to natural valuables, and especially the diversity in flora and fauna, the Gorge of Jelašnca stands together with the most important gorges in Serbia and in the Balkans, and its natural reservation is assigned with the first category of protection. Here you may also see creations in stone, such as dolomite columns, resembling teeth, kneeling figures and windows. The gorge offers a few nice locations for camping and picnics. One of them is located at the gorge exit and is equipped with benches for picnickers. Extreme climbing lovers may try free climbing on the natural rock, organized by Niš Mountaineering Club. Mt. Suva planina represents a grand mountain range of the South East Serbia. It is a part of the Carpathian-Balkan mountain system, and it stretches over the territory of municipalities of the Spa of Niš, Gadžin Han, Bela Palanka, Babušnica and Vlasotince. It has 35 km in length and 12 km in width. “Suva planina” reservation covers the area of 21.354 ha. Mt. Suva planina, with its peaks and colossal precipices, dominates the relief of the region. The North side of the mountain is predominantly steep limestone precipices and furrows along which descend deep rock creeps. Devojački grob saddle (Maiden's Grave 1311m) separates the two most conspicious peaks, Trem (1809m) and Sokolov kamen (Falcon's Rock 1523m). Major part of the mountain, especially high altitude, is composed of limestone, whereas the lower region is composed of silica. An interesting portion of the mountain is its horse-shoe shaped part with its sharp, bold, almost Alpine shapes, and cliffs so steep that they descend vertically from the mountain called Valožje, ploughed by Crvena reka (Red river) and the River of Jelašnica. This shape formed by the subversion and dissipation of the dissoluble rock represents “one of the greatest forms of Serbia” and makes Mt. Suva planina one of the vastest, most well known mountains in whole of Serbia. The Hill of Kamenica is situated on the slopes of Mt. Svrljiske Planine, above the village of Kamenica, 750-800 meters above sea level, and is located 14 km away from Niš. Throughout the year, the Hill of Kamenica is the favorite single-day excursion site for people from Niš. The terrain is mildly formed and covered with low forest plants. To the north one finds Studeni Kladenac – the only spring in the area. There is a hunter’s restaurant at the location, where you may get some refreshment and enjoy excellent game meat. 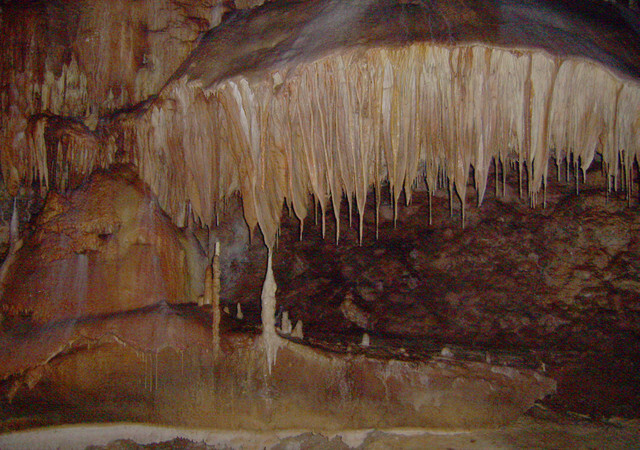 The Cave of Cerje is located 14 km away from Niš, close to the Hill of Kamenica, and it is still hydrologically active. 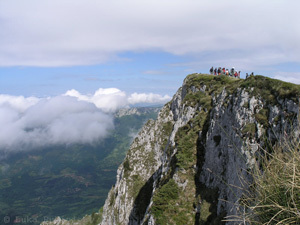 Its true name is Provalija (the Abyss) and its opening is 515 meters above sea level. Geologists estimate that the Cave of Cerje originated over 2 million years ago. The end of the cave remains undiscovered. All the explored corridors are full of the wide and narrow parts, somewhere not wider than 1 meter. The length of the corridors is 4,000 meters, and the main corridor is 3,360 meters long. The chambers are sometimes 1,000 meters long, 30 meters wide and 35 meters high. The cave boasts with a wonderful underground world made of corridors and large halls, on average 15 to 40 meters high, showing hundreds of morphological and hydrological forms of different shape, size, and color, cave jewelry – stalactites, helictites, wavy draperies, cave corals, and crystal flowers, which can be found only here in Serbia. Helictites found here represent a special kind of cave jewelry which, contrary to all laws of physics and gravity, extends in all directions, like electrified hair. In 1998, the Institute for the Protection of Natural Monuments proclaimed the Cave of Cerje a first category natural treasure. However, due to the lack of funds, the cave is still not available for visitors.